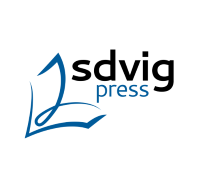 The Preface and Part One expose infelicities and errors in translating some of the key terms of Heidegger’s technical vocabulary into English. In so doing, Groth suggests a few modifications, some of which seem more controversial than the questionable renderings which he is trying to improve or correct. 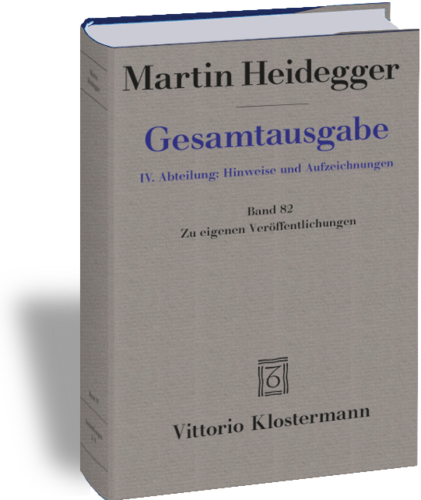 For example, he translates das Seiende, which he considers «the pivotal term in Heidegger’s way of thinking» (8), as «be-ing,» then gives an unconvincing explanation of how adding the hyphen emphasizes both the substantive and the participial or gerundive nature of this word and reveals how Heidegger used sein as a transitive verb. Since das Seiende «denotes the active ongoing manifesting of an effective actuality» (8), it leads him to rather farfetched renderings such as «seienden Menschen (actual human beings)» (8). The reader is left wondering not only how he would translate wirklichen Menschen, but also whether a clumsy circumlocution such as «human beings who actively are» would be more in keeping with his analysis of das Seiende. One of the thorniest problems in translating Heidegger is to distinguish adequately between Dasein and Existenz. A common solution is to translate the latter as «existence» and the former as either «being-there» or «there-being» or just leave it in German. Groth suggests translating Dasein as «existence» and Existenz as «life» (9-10). Some of his reasons are cogent, but his flouting of the cognate is bound to cause confusion and his bending over backwards to avoid allusions to Dilthey is unnecessary. Groth identifies six «fundamental words» (Grundworte) from Heidegger’s technical vocabulary as indispensable in his thought, namely, Sein, Seiende, Dasein, Existenz, Nichts, and Ereignis (23). We might add a few more, such as Sorge, Gestell, Anwesen, Sprache, Alltäglichkeit, ontisch, das Man, eigentlich, Bestand, Zuhandenheit, Gelassenheit, and even the infinitive lassen. Translating these terms as accurately as possible is crucial toward developing any plausible understanding of Heidegger among anglophone thinkers. Accordingly — and wisely — Groth’s focus in Chapter One (29-94) is on the earliest receptions of Heidegger in English, starting with Ryle’s review of Sein und Zeit in 1929, in order to identify the roots of persistent misinterpretations of Heidegger among anglophone scholars. Groth apparently believes that Ryle got Heidegger completely wrong, and it would be difficult to disagree with Groth about this, especially since Groth cites to his advantage several of Ryle’s most blatant mistranslations of Heidegger’s terms, e.g., Sein as «timeless substance» (30) and besorgen as «being-about» (31). Nevertheless, despite his strong criticism of Ryle, Groth graciously gives Ryle the last word, citing to Ryle’s advantage Ryle’s 1969 partial recantation of his 1929 review (32-33). Groth is less kind to Marjorie Grene. He is not the first to name her 1948 Dreadful Freedom (later retitled Introduction to Existentialism) as among the least helpful introductions to existentialism in general or to Heidegger in particular. Her book, which considers Kierkegaard, Sartre, Heidegger, Jaspers, and Marcel, is worthwhile only with regard to Kierkegaard, and is indeed quite pernicious with regard to Heidegger. In the preface to the 1959 edition, she not only admitted her own laziness in trying to interpret Heidegger for the first edition, but also, after claiming to have finally understood him, rejected him outright and withdrew from any serious consideration of Heidegger to wallow in her pessimistic existentialist morass. After duly citing this preface, Groth shows how Grene actually had little or no understanding of Heidegger (35-36), but obstinately tried to squeeze him into her Procrustean existentialist framework and called his thought and language «weird» or «nonsense» whenever she could not satisfactorily perform this squeeze. Groth gives about two dozen more good examples in Chapter One of erroneous pre-1949 receptions of Heidegger. Many of these early interpreters, e.g., the theologian Julius Bixler (37), misunderstood Heidegger’s idiosyncratic use of Existenz and thus threw him in among the existentialists. Others, e.g., Paul Tillich (47-49), Ralph Harper (49, 75-76), and Vincent Edward Smith (68-69) each erred in similar ways, trying to impose Thomistic or Scholastic categories of essence and existence upon Heidegger, who uses Wesen, Dasein, and Existenz in quite different senses from how medieval philosophiers used quid est, quod est, essentia, esse, or existentia. 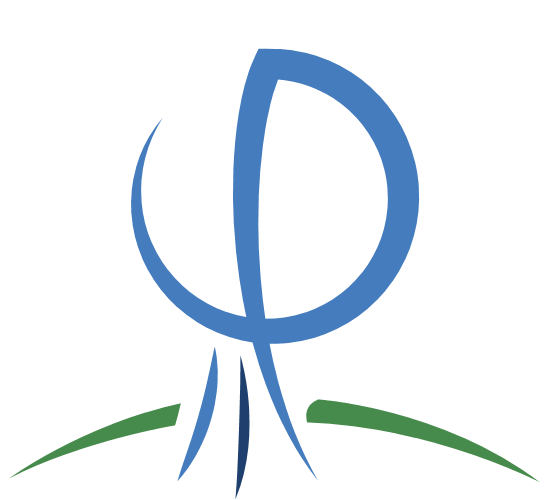 All that these theologically or existentially inclined interpreters really show is that, despite their interpretations, Heidegger’s philosophy cannot easily be turned in a theological direction. Furthermore, Eric Unger, writing for the intelligent laity rather than just philosophers, presents Heidegger not as a serious thinker, but as a curiosity, almost a sideshow freak (57-60). Not surprisingly, he also lumps Heidegger in with the existentialists. 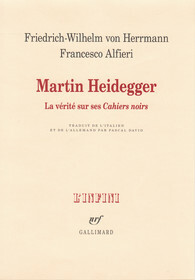 Unger fails to recognize the ontological difference, believes that Heidegger contrasts reality and existence, and translates Seiende as «reality.» A frustrated Groth writes that «any possibility of understanding Heidegger’s notion of existence is foreclosed by Unger’s translation of Dasein as ‘human life'» (59). Many such interpretations leave us «with an overwhelming sense of obscurity and incomprehensibility about Heidegger’s so-called existential philosophy» (65). Others simply dismiss his vocabulary as impossible to fathom in English (41). For Groth, none of these writers misinterprets Heidegger more grotesquely than William Tudor Jones (70-71) and none of them comes closer to satisfying Groth’s own understanding of Heidegger than William Barrett (72-74). Regarding Heidegger’s too often alleged connection to existentialism, Groth notes in several places (e.g., 37, 45-49, 66-67, 72, 74) that some interpreters, especially theologians, are too quick to consider Heidegger in conjunction with the radical Christian existentialist Kierkegaard, who, after all, has very little in common with Heidegger. Groth suggests that this tendency to lump the two together may arise from inadequate understanding of such terms as Sein, Dasein, Existenz, Leben, and Wesen. He complains that some translators render Dasein as «human existence» (42, 47), which he says is redundant, since Dasein only refers to specifically human existence. Even though his point is well taken, the redundancy might be necessary to convey the full Heideggerian sense of Dasein to anglophone readers. 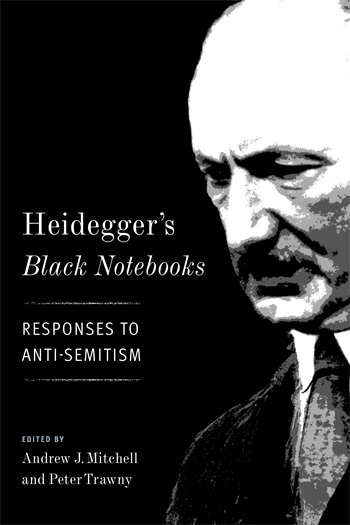 Given her life story and especially her close association with Heidegger from 1924 to 1926, we would expect Hannah Arendt not to misunderstand him, even when she disagrees with him. Nevertheless, Groth identifies an «essential error» (51) in her reception of Heidegger, namely, that she confuses Dasein, Existenz, and Mensch. However, as a native speaker, she surely realized that what was perfectly clear to her about Heidegger’s technical vocabulary in German could not be adequately expressed in English. Also, it is not unlikely that her view of Heidegger in the 1940s was influenced by her subsequent mentor, the avowed existentialist Jaspers, and was thus pushed toward existentialism. If we look at the German text of her «What is Existenz Philosophy?» (1946) or «What is Existential Philosophy?» (1994), i.e., «Was ist Existenz-Philosophie?» (1948), we see that among her purposes is to explain, in plain German, Heidegger’s complicated German to a German audience. For example, she uses Essenz instead of Wesen. Such a purpose would naturally not translate well. But Groth considers only the first of these two English translations, does not mention her German version, and indeed seems to be misinterpreting her, alleging, for example, that she equates Existenz and Dasein when she certainly knows better than to do that. Hence we should give her the benefit of the doubt. Much of Groth’s criticism of Arendt could more properly be applied to her translators, Barrett, Robert Kimber, and Rita Kimber (87 n. 48). The art of translation is to break a textual or literary artifact apart then reassemble it in the context of another culture. Good translating has many axioms, e.g., use a dictionary as contemporary as possible with the text to be translated; translate into, not out of, your native language; try to preserve etymological connections, puns, permutations, transpositions, rhymes, etc. Heidegger would not disagree with any of these; however, his project was different. Going back to original terms and texts was a key aspect of his deconstructive agenda, and thus of his entire philosophy. He did not trust translations, but always preferred to consult and analyze the originals, which in his case generally meant classical and scholastic Latin and especially ancient Greek. Groth notes that Heidegger believed that misunderstandings and corresponding mistranslations of five Greek terms, alêtheia, hen, logos, idea, and energeia, have largely «determined the course of Western philosophy» (19), for better or for worse. Accordingly, Chapter Three (115-163) discusses Heidegger’s theory of translation as it evolved from 1915 to 1969. Groth has painstakingly gleaned this theory from scattered remarks in Heidegger’s vast corpus. These gleanings provide insight into not only Heidegger’s theory of translation, but also his method and agenda of philosophizing in general. This feature alone would, for both Heidegger scholars and Heidegger disciples alike, make this the most interesting chapter in the book; but Groth makes it even more interesting with the extraordinary claim (116-117) that, contrary to common sense and to traditional hermeneutical principles, thinking is not dependent upon words. Rather, Groth holds that, for Heidegger, thinking is a kind of saying (Sagen), as if there were a real difference between the spoken word and any other kind of word. After all, common sense dictates that we cannot «say» anything unless we have words in which to say it. Without words, spoken or otherwise, actual thinking is not possible, but just a flow of inchoate emotions, disconnected perceptions, and vague notions of how to proceed and survive in the world on a purely animal level. Groth notes that other commentators have missed this counterintuitive interpretation of Heidegger, as well they might, since it is spun out of thin air and couched in equivocation. Groth even presents evidence against it as evidence for it. He cites «language speaks» (die Sprache spricht) to support his argument that «thinking is not up to the thinker» and that we do not use language, but language uses us in the service of being (117). While it is certainly true that, for Heidegger, language reveals being to us if we listen carefully; it would still be a misinterpretation to take the individual or subjective human actor out of the process of creating or presenting language in the first place. 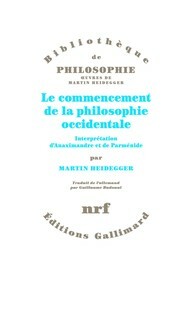 Heidegger’s optimal kind of thinking, meditative thinking (rechnendes Denken), although we may get lost in it and end up we know not where, is above all a deliberate, self-motivated, and self-motivating act, as we clearly infer from Heidegger’s 1955 «Memorial Address.» His famous assertions that «language speaks» and «language is the house of being» mean, among other things, that thought hides in words, i.e., that thought remains concealed (verborgen) in words — whether written, spoken, read, heard, or even merely dreamed — until it is disclosed (entborgen) as being. If we conceive of language in the broadest possible way, then the existence and development of language is a necessary and sufficient condition for thinking. Chapter Four (165-193) provides a detailed example of Heidegger’s «paratactic» method of translating. Parataxis means «arranging,» «arrangement,» or «array.» Groth shows how Heidegger breaks up, rearranges, and reassembles an eight-word fragment from Parmenides, using Parmenides to elucidate more precisely his own meaning of seiend-, seen in the Greek as various forms of einai. This is a reciprocal process (183); i.e., in order to bring (herüberbringen) into German the concepts that are hidden in Greek words, the German translator must first immerse himself in Greek thought and go over (hinübergehen) into the Greek so as to become capable of understanding these concepts in both Greek and German and thereby of eventually rendering them in German. Thus Heidegger reads himself into Parmenides and Parmenides into himself. Heidegger is not interested as much in the grammar or syntax of the Greek text (150) as in its particular words, syllables, and even letters, so as to disclose to himself and his readers the far-reaching allusions, etymological inferences, and deep truths that would otherwise remain hidden forever, and were perhaps even hidden from Parmenides. 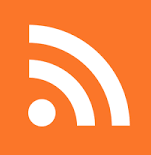 This method coheres well with the whole deconstructive enterprise. «For Heidegger, translating was not at all a matter of words, but of ways of thinking» (108), which suggests that Heidegger’s translation of Parmenides may tell us more about Heidegger than about Parmenides.